Our 3-step process to developing a humane investment portfolio. Firstly, our ethical investment team analyse companies on Australian (as well as fixed interest and property investments) to create a universe of stocks which pass our strict ethical investment criteria. The ethical investment team ensures stocks in the portfolio have superior environmental, social and ethical credentials. Then, our investment team uses this ethically screened universe to create the Cruelty Free Super portfolio. The investment team selects the ethical stocks they believe will produce superior financial returns. Finally, our team look for positive industries like cruelty free healthcare, education, and technology to add to the portfolio. 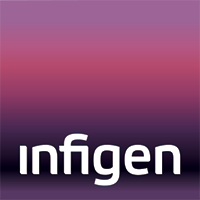 Infigen Energy develops, owns and operates a network of renewable energy assets in Australia. Infigen has over 500 megawatts of installed generation capacity across New South Wales, South Australia and Western Australia and more than 100 megawatts more under construction in New South Wales. Infigen is making a real contributiont to our energy transformation in Australia. Spark is New Zealand's largest supplier of fixed phone lines, its biggest internet provider, with nearly half of the total New Zealand market and nearly 700,000 broadband customers, and it's also New Zealand's biggest mobile provider. As New Zealand's leading digital services company, Spark New Zealand has a powerful ambition: to unleash the potential in all New Zealanders through amazing technology. Vocus is one of Australia's largest telecos. With data centres and fibre networks across Australia and New Zealand, Vocus is challenging the way their competitors do business in Australia and New Zealand. As a result, they are one of Australia’s fastest growing companies. They own and operate a global telecoms network that is always growing, expanding and improving to meet the future needs of their customers. The Cruelty Free Super fund invests in the following companies in its listed shares, unlisted shares, property, and fixed interest portfolios. The information below is provided for general information purposes only. It is not a recommendation to buy or sell any of the investments listed. This list is current as at June 2018. We don't currently have any holdings in this category.